« Recipe: Flourless Peanut Butter Cookies – Yum! Our Visit Maine Like A Mainer! series continues with a look at Maine’s Lakes and Mountains region, situated in the southwest portion of the state. We first visited the Lakes and Mountains of Maine while vacationing on the coast, a year or two before we came to Brewster House B&B. 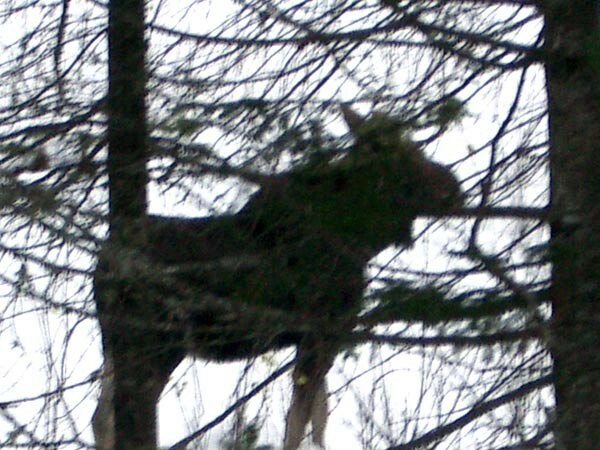 In our previous trips to Maine, we had never seen a moose, and wanted to see one. We realized that Rangeley Lake, in the Lakes and Mountains region, was a good place for moose-spotting, and only a couple hours drive from where we were staying. We booked lodging in Rangeley, and drove to Rangeley Lake. Although it was only late October, we began to see snow in the foothills, and later learned that this was a result of one of that year’s many hurricanes which had come up the middle of the United States, and turned to a snowstorm over the New England mountains. We were astonished at the surpassing beauty of the region. 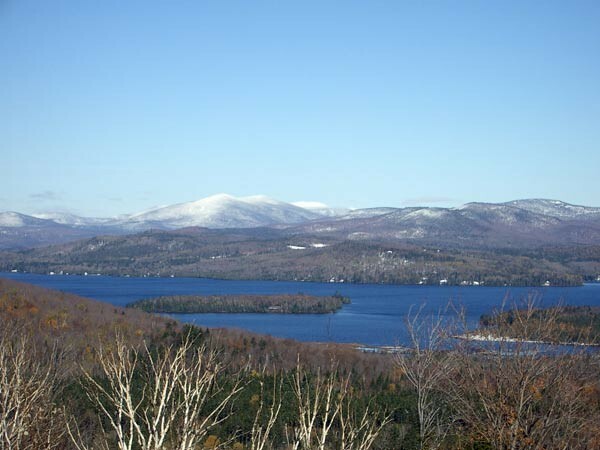 We drove around beautiful Rangeley Lake, looking down from the mountains and finding it reminded us of Lake Tahoe, along the California and Nevada border, but with as smaller population. Our motel had canoes available for guest use, and the lakeside view was so pretty we were tempted, but the snow and unusually cold weather put us off that idea. As dusk approached, we drove out “Moose Alley” (so nicknamed for rather obvious reasons), and Ruth remarked, “Wouldn’t it be great if we came around the next bend and there was a moose there?” And there was! Like the car in front of us, we pulled quickly to the shoulder and began taking pictures. The moose, a big male, ambled across the road into the trees, and disappeared. We drove on, finding a second moose – a female this time – along the side of the road, casually grazing where the snow hadn’t covered all the grass. After she disappeared we turned around and headed back toward town. There was the first big fellow again, standing in the center of the road! We got as close as we dared and stopped the car, and took a few photos, before he again disappeared into the woods. 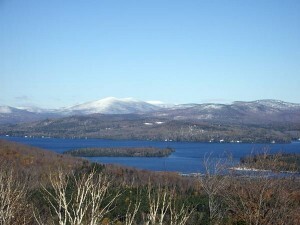 In addition to the lakes and mountains, themselves, and moose, of course, the area is filled with ski resorts, snowmobile and snowshoe trails, and a wonderful opportunity to see nature unspoiled. See the region’s website for more information.